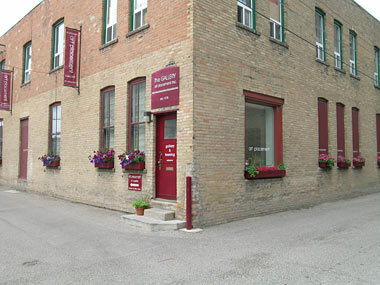 Works of art and other items dropped off at The Gallery/Art Placement Inc. (Art Placement), will be warrantied against damage and destruction caused by any human error, improper handling, or other similar incident, up to the replacement cost of the item, determined as: a) the cost of materials, or b) the fair market value as assessed by a qualified, independent appraiser; or the cost of restoration, whichever is less, as decided by Art Placement. Fees and all other costs associated with the appraisal of any damaged work shall be borne by the client. This warranty does NOT apply to works that are already damaged upon receipt, as will be noted at the time of drop-off, or to any work, at the discretion of Art Placement, that is likely to be damaged in the normal course of framing, due to either a) the manner in which it has been previously hinged, mounted, or framed, or b) the material nature and general condition of the work or its substrate. Art Placement assumes no responsibility or financial liability for any other damage and destruction that may occur due to circumstances beyond our control (acts of God), including but not limited to: fire damage, smoke damage, and water damage (flooding). If you have any concerns, we encourage you to inquire with the issuer of your home and/or fine art insurance policy. Most fine art policies include provisions for coverage of works while in transit or temporary storage at an off-site location. Please note: any works or items left at Art Placement more than 90 days from the date of completion shall be considered abandoned. Art Placement assumes no responsibility or financial liability for abandoned works. 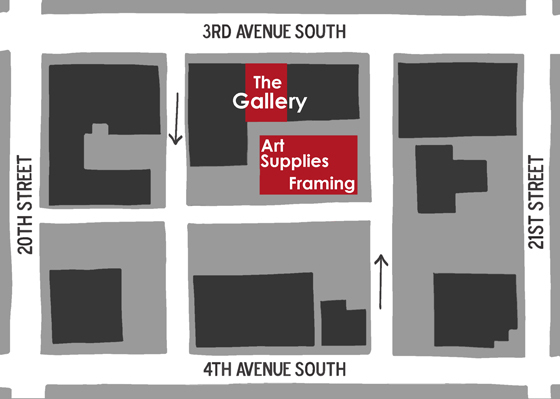 FRAMING / art placement inc is a custom frame shop centrally located in the Traveller’s Block Annex in downtown Saskatoon - "down the alley" between 3rd and 4th Avenue and 20th and 21st Street.